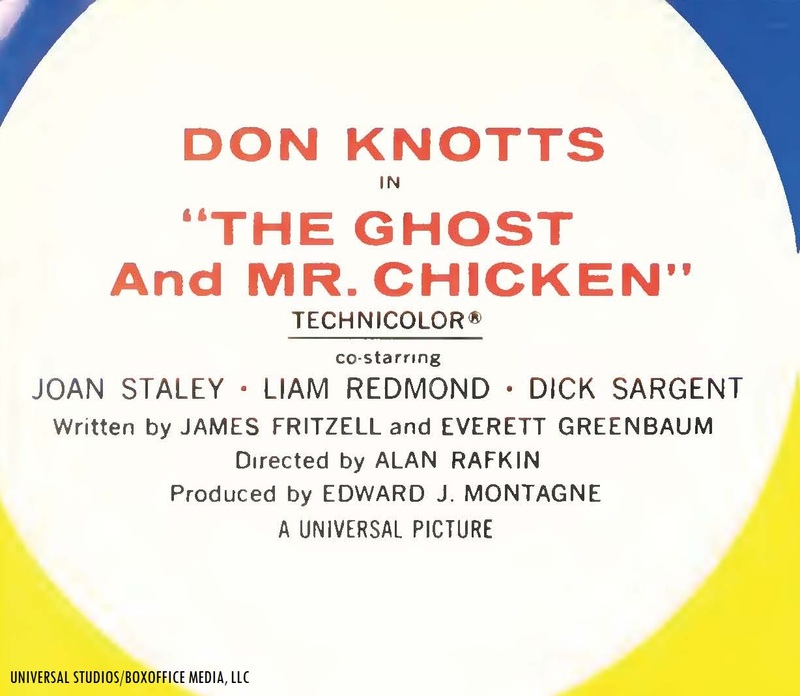 Universal Studios exhibitors’ trade ad for the release of “The Ghost and Mr. Chicken” (1966). 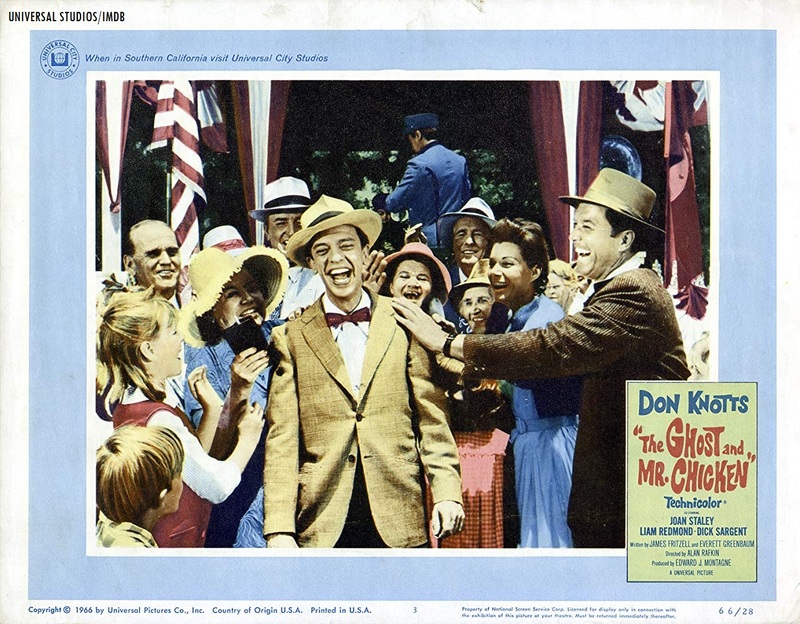 According to ​John M. Miller’s article on “The Ghost and Mr. Chicken” (1966) for Turner Classic Movies​, Don Knotts was signed to a five-year picture contract with Universal Studios in 1965 to make family oriented features. He had met with Universal/MCA head honcho ​Lew Wasserman​; who felt that Knotts’ earlier feature film for rival studio ​Warner Bros.​, “​The Incredible Mr. Limpet​” (1964) did not receive proper promotion by Warners. Knotts’ four other Universal features were “​The Reluctant Astronaut​” (1967, with ​Leslie Nielsen​, ​Joan Freeman​ and ​Jesse White​), “​The Shakiest Gun in the West​” (1968, with Pat Morita​, ​Barbara Rhoades​ and ​Jackie Coogan​), “​The Love God?​” (1969, with Anne Francis, James Gregory and Edmond O’Brien) and “How to Frame a Figg​” (1971, with Yvonne Craig, Joe Flynn and Frank Welker). “Attaboy, Sven!” “Attaboy, Kerwyn!” Mr. Svengoolie (portrayed by Rich Koz) and Mr. Kerwyn are ready for the big broadcast this Sat.! 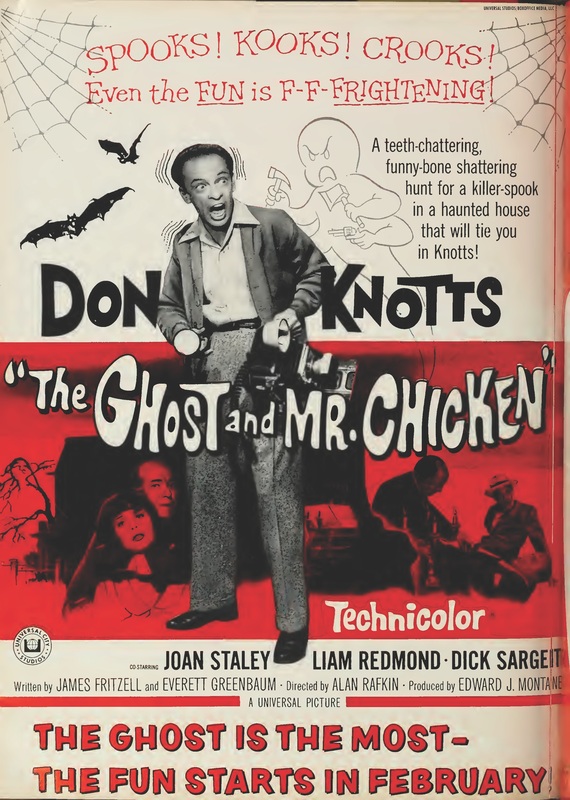 If this is your sixth time seeing Sven’s showcase of “The Ghost and Mr. Chicken” (1966) on Me-TV or if this is your first time seeing Sven’s presentation of Don Knotts’ first Universal feature, you will not be disappointed! With several familiar faces from film and television along with Sven’s extended fun facts, maestro Doug Graves’ evening parody song and Kerwyn’s “mail call,” this will be a perfect summer treat for all fellow SvenPals! Highly recommended and fun for the whole family! Join in on the fun by live-tweeting with all fellow SvenPals during #Svengoolie’s Sat. 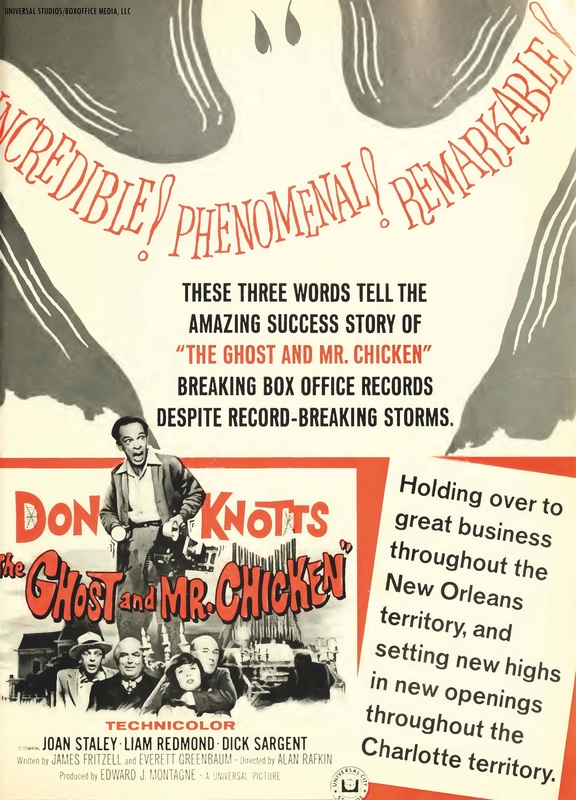 big Me-TV broadcast of “The Ghost and Mr. Chicken” (1966) via Twitter! Play Ball! Svengoolie will be making an upcoming appearance for the Windy City Thunderbolts’ upcoming first annual “Fri. the 13th Fright Night” fest on Fri., July 13 where the Thunderbolts will play opposite the Joliet Slammers! Sven will also be signing autographs!The customized “Fright Night” jerseys for the Thunderbolts team will be auctioned off to benefit a good cause, the Make-A-Wish foundation of Illinois! Presented in conjunction with Highline Auto Sales, the event will begin with a children’s costume parade at 6:15 p.m. (local time) and will conclude with a fireworks show! The Fri., July 13 Thunderbolts “Fright Night” game event will be taking place at Standard Bank Stadium, 14011 South Kenton, Crestwood, Illinois 60418. Get your tickets now! Sven’s upcoming Arcada appearance with a familiar legend of Rock-and-Roll! Sven recently announced on his monthly e-mail newsletter that Rock-And-Roll legend Freddy “Boom Boom” Cannon will be inviting Sven on stage for a live performance of their hit Sept. 2016 song, “The Svengoolie Stomp!” This is part of an upcoming “Arcada Doo-Wop” Show with Freddy “Boom Boom” Cannon w/ a cameo appearance by Sven, Jay Siegel and the Tokens, Larry Chance and the Earls and Ladd Vance (son of Kenny Vance and the Planotones), which will be taking place on the afternoon of Sun., July 15 at 5 p.m. (local time) at the Arcada Theatre in St. Charles, Illinois (105 E. Main St., St. Charles, Illinois 60174). Svengoolie‘s cameo “Incoming!” photo appearance in the Aug. 2018 edition of “Mad” magazine! 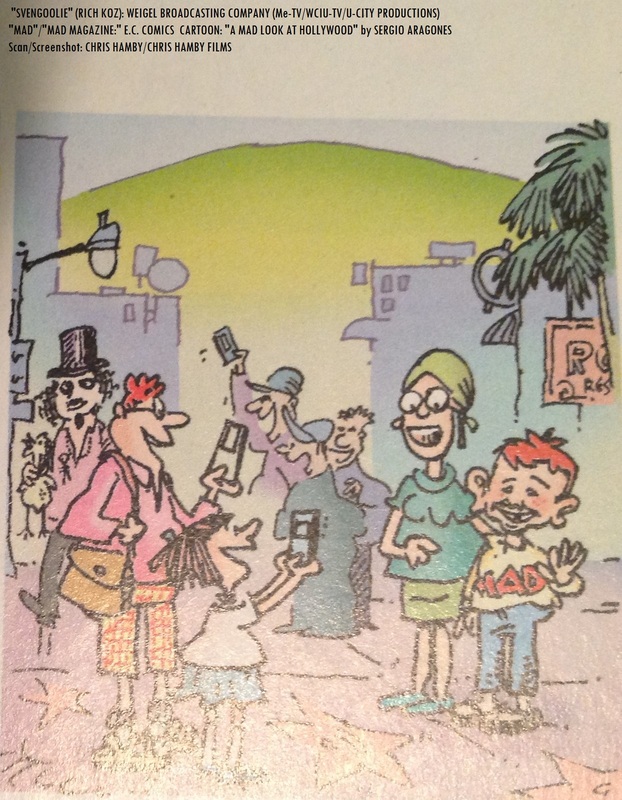 A cameo appearance of Svengoolie and his rubber chicken in Sergio Aragones‘ “A Mad Look at Hollywood” strip in the Aug. 2018 edition of “Mad” magazine! Issue II of “Mad” magazine. “What, me worry?” Well worth the wait! During a recent outing (for errands) to my local Weis Markets supermarket in Frederick, I purchased a copy of of the Aug. edition of the re-vamped version of “Mad” Magazine (No. 2, “Hollywood Goes Mad”)! 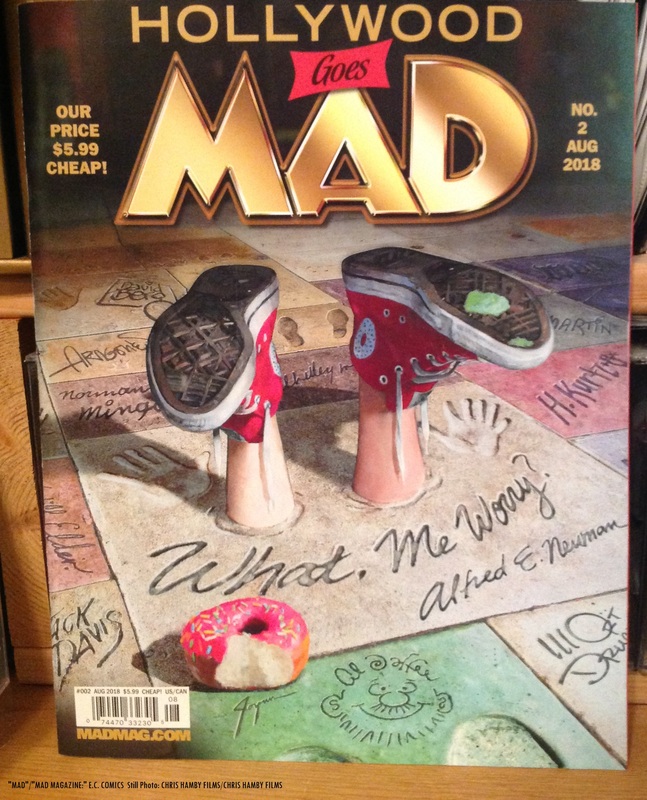 The Aug. edition of “Mad” featured a cameo photo of Sven holding the first issue of the re-vamped “Mad” in the “Incoming!” section and a cameo drawing of Sven and his rubber chicken in cartoonist Sergio Aragones‘ “A Mad Look at Hollywood” strip! Several fellow coast-to-coast SvenPals have also confirmed that they also purchased copies of the Aug. “Mad” issue! Sven also mentioned his “Mad” magazine appearance by featuring the Sergio Aragones cartoon Sven cameo drawing during the June 2 “Werewolf of London” mail call segment with Kerwyn on Me-TV! Congratulations, Sven from all of us fellow SvenPals for making it into “Mad” magazine! -C.H. 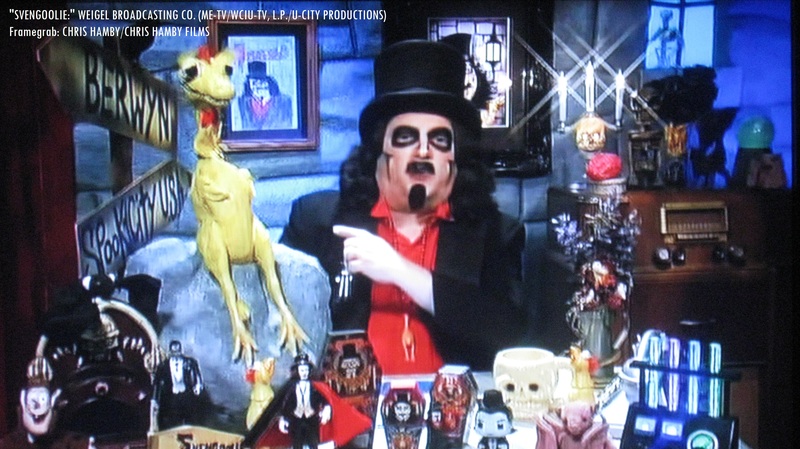 A “Silver Screen Reflections” “flashback” post of Svengoolie’s Oct. 2017 Me-TV broadcast of “The Ghost and Mr. Chicken” (1966)! A 1977 ad from future Me-TV affiliate WTTG Channel 5 in Washington, D.C. (from the Metromedia/”Setting the Pace of the City” station campaign of the era) and their weeknight syndicated re-runs of “The Andy Griffith Show” at the time, using Don Knotts’ and Andy Griffith’s song about Barney Fife (from the 1961 “Andy Griffith Show” episode, “Crime-Free Mayberry”)! Note: The audio is warbled due to tape deterioration. Questions/Comments about Svengoolie or “The Ghost and Mr. Chicken” (1966)? Drop a line at the comments section!